This post’s titular sentence, quoted in Winnifred Sullivan’s new book A Ministry of Presence, is how a hospice chaplain summarized the purpose of his job (185). Sullivan brilliantly explains how, through legal and cultural history, simply “to be there”—not to convert or preach or even to dole out advice—came to be what is required of chaplains. Kolby Knight has already written an excellent and helpful review for the Bulletin, so I won’t recap Sullivan’s argument or talk much about the book’s contents here. Instead, I offer some brief reflections that I had from the book, and how chaplaincy might help us think about the place of religion in American society in the twenty-first century. The case that sets the stage for the book is Freedom From Religion Foundation v. Nicholson (2008), wherein the FFRF challenged a VA hospital program that measured individuals’ “spiritual fitness.” As Sullivan points out, seeing spirituality as integral to a person—even at the measurable, material level—is not new. She cites, for example, John Modern’s discussion of phrenologists’ invention/discovery of the faculty of spirituality. What is new, however, is the legal context. This type of essentialized spirituality gets around the “high wall of separation” of mid-twentieth-century jurisprudence. If spirituality is natural and part of the human, the state ought to help care for it. 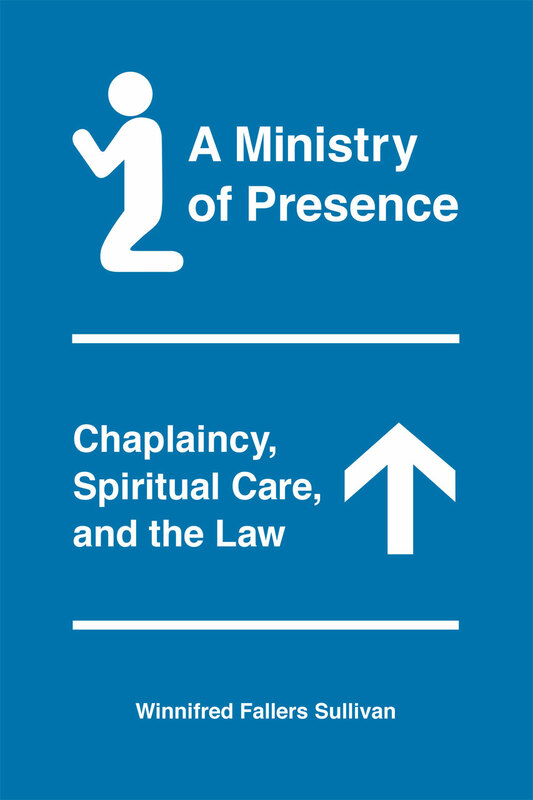 I read A Ministry of Presence in the context of a class I’m co-teaching with Mike Graziano on religion and American law (for more on that course see here and here.) Before this book we read Hugh Urban’s The Church of Scientology. One of the things that stuck out to me in Urban’s book was that L. Ron Hubbard’s initial attempts to play up, as he put it, “the religion angle” (i.e., self-consciously rebranding their organization as a religion) was not in order to receive tax exempt status. Later, of course, that would be the point, and it led to a decades-long feud between the Church and the IRS, culminating with the Church winning the status (although paying their back taxes) in 1993. At first, though, in the early 1950s, the religion angle was about the FDA, with whom Scientologists were in hot water for using their e-meters to do what was legally the realm of medicine and, thus, subject to credentialing, certification, and so on. If an auditing session were a religious exercise, these restrictions and standards would not apply. I’m reminded of the recent case in Encinitas, California in which the court’s question was, “Is yoga religious?” The court determined that it is in fact religious but nevertheless legal, since “a reasonable student” wouldn’t perceive it as evincing a “message of eastern or anti-western religion.” So, indeed it is religious, but it is not, to use the language of nineteenth-century school debates, sectarian. In the same way, the chaplain must be religious only in the most general, widely applicable sense. It is not a coincidence, either, that these three examples (“spiritual fitness,” e-meters, and yoga) all have to do with bodily health, which I suspect is due to their supposed pre-discursiveness and universality. It is religion stripped to the basics. Religion naturalized. Religion without code, cult, or community. Religion without metaphysics. It is religion for a state of uncertainty (174). The chaplain, who is the incarnation of this religion, is “there to be there.” But they also don’t do much other than be there. American religion—supporting some secularization theses and upending others—just hangs around. : Bulletin readers likely will be interested to know that Sullivan sees religious studies as implicated in this type of “new establishment.” She writes, “The peculiar educational formation and credentialing of chaplains is not driven just by the force of law, the needs of government, and the social facts of religious diversity. That training is also enabled by the success of religious studies in naturalizing its own religious practices. The work done by the religious studies department in many colleges and universities in the United States reflects a broadly irenic and inclusive voice on behalf of Homo religiosus in all his guises” (137–138). This entry was posted in Charles McCrary, Politics and Religion, Religion and Society, Religion and Theory, Theory and Method, Theory in the Real World, Uncategorized and tagged Hugh Urban, John Modern, Kolby Knight, L. Ron Hubbard, Mike Graziano, Winnifred Sullivan. Bookmark the permalink.